When I first found out that National Candy Cane day was the day after Christmas I thought, "well that's kind of a day late and a dollar short." After all, by the day after Christmas I figured most people would be pretty tired of candy canes, in any form. We'd been inundated by pictures of them and pummeled with candy cane flavored everything from coffee to chocolate bark to cookies and candy since the day after Halloween. Enough with the candy canes already. Then on second thought, I realized what better day for having Candy Cane Day? The day after Christmas was the day your mom would finally let you eat the candy canes off the Christmas tree! 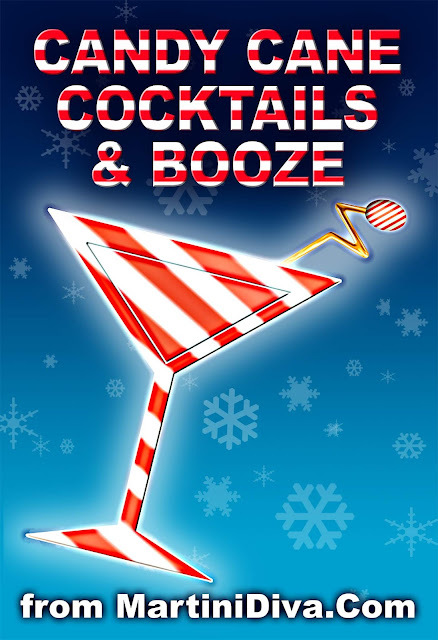 If you were the mom or dad, you gave yourself permission to take the candy canes off the Christmas tree and make some candy cane infused booze with the broken canes the kids didn't like. National Candy Cane day on December 26th finally made sense to me! National Candy Cane Day is December 26th.